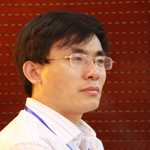 Dr. Chen Xiaoshen is an associate professor and vice-president of the Institute for Cultural Development, Communication University of China (CUC). He is also deputy editor-in-chief of the Yearbook of Cultural Industry in China, as well as a supervisor for master’s degree candidates. His work primarily focuses on the research and teaching of cultural management. In the past few years he has undertaken, or participated in, many national research projects and has published three monographs and dozens of articles. He was a senior visiting scholar at Seoul National University from 2011-2012. He holds a Ph.D. in communication science from Peking University.